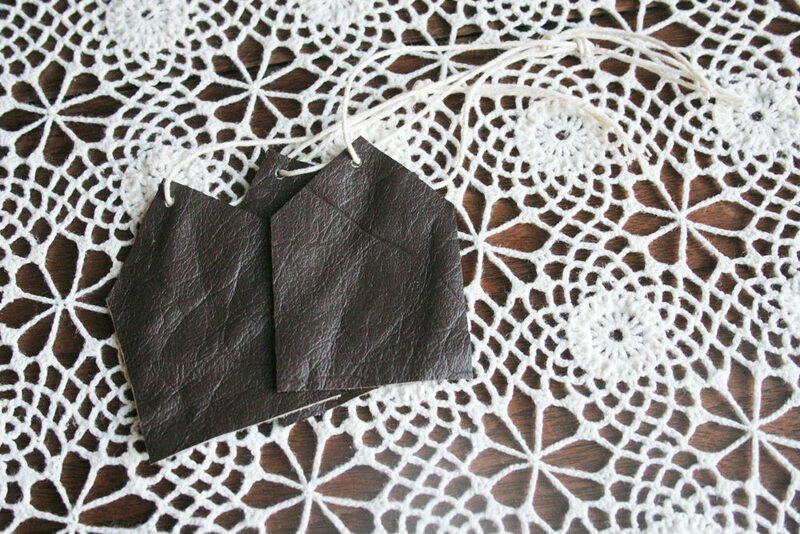 Learn how to make leather gift tags to wrap presents. 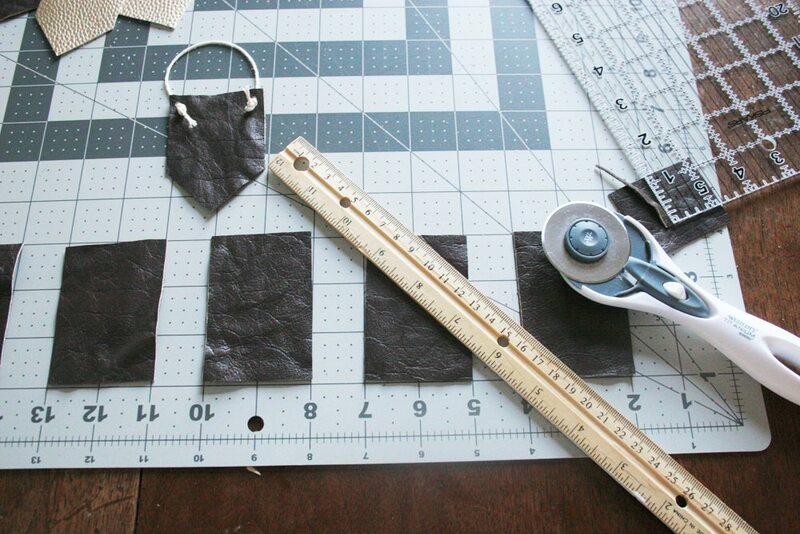 Plus, use the same template to make DIY leather Christmas ornaments! 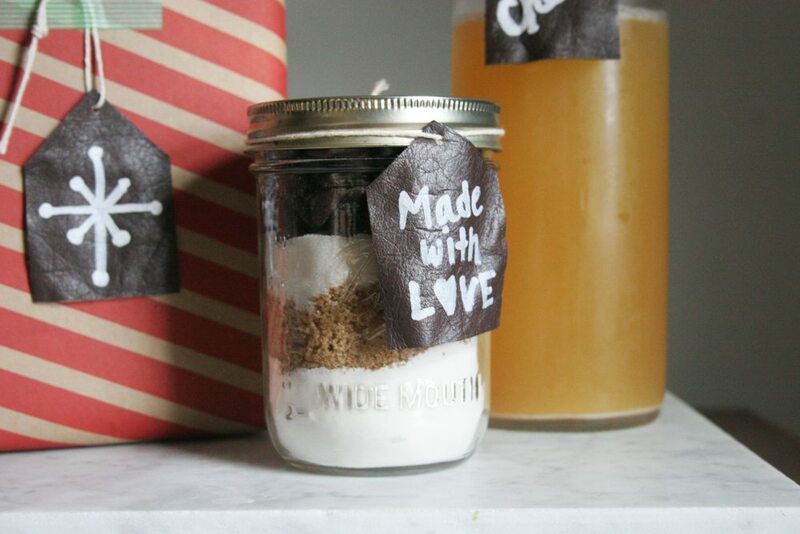 Looking for something modern, simple, and rustic to take your gift wrapping up a notch? Today, I’m teaching you how to make a stylish leather gift tag, perfect for wrapping Christmas gifts or labeling homemade treats. 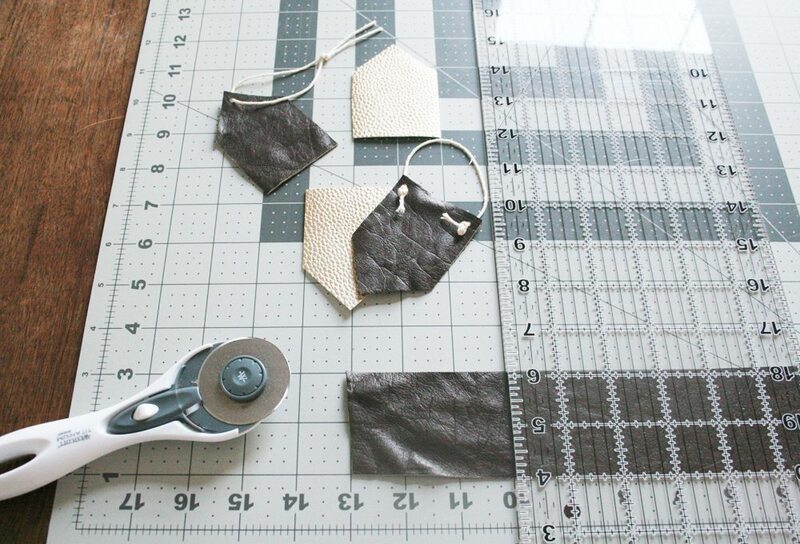 Plus, use the same simple template to make modern leather Christmas ornaments. 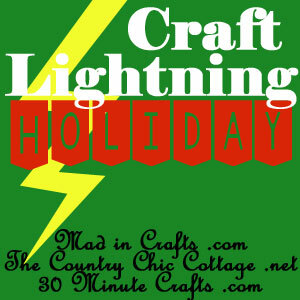 Thanks to Mad in Crafts, The Country Chic Cottage, and 30 Minute Crafts for hosting the Holiday Edition of Craft Lightning. If you aren’t familiar with Craft Lightning, this 5-Day Event features 40+ crafts which can be completed in 15 minutes or less! First, cut 2″ wide strips from scrap leather. You can buy scrap leather or cut up an old leather jacket from a thrift store. 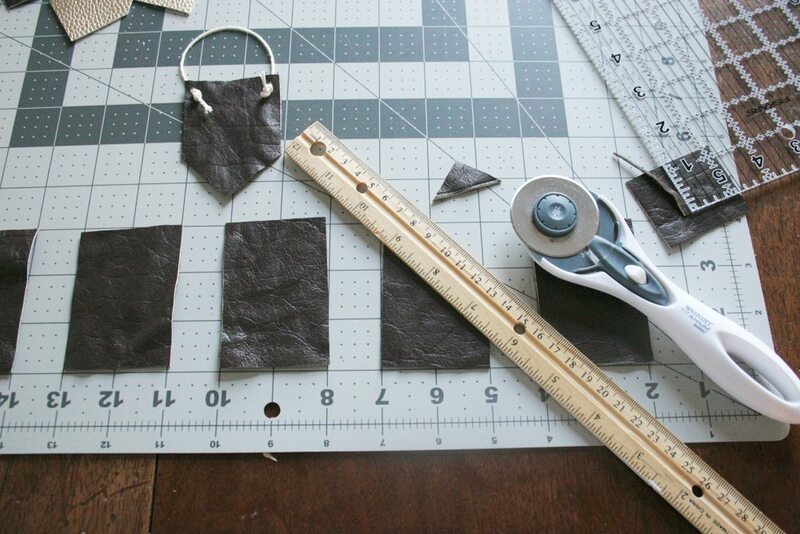 Next, cut the 2″ strip of leather into 3″ segments. Once the rectangles are cut, use a straight edge to cut off two triangles from the top edge. This will create a point. 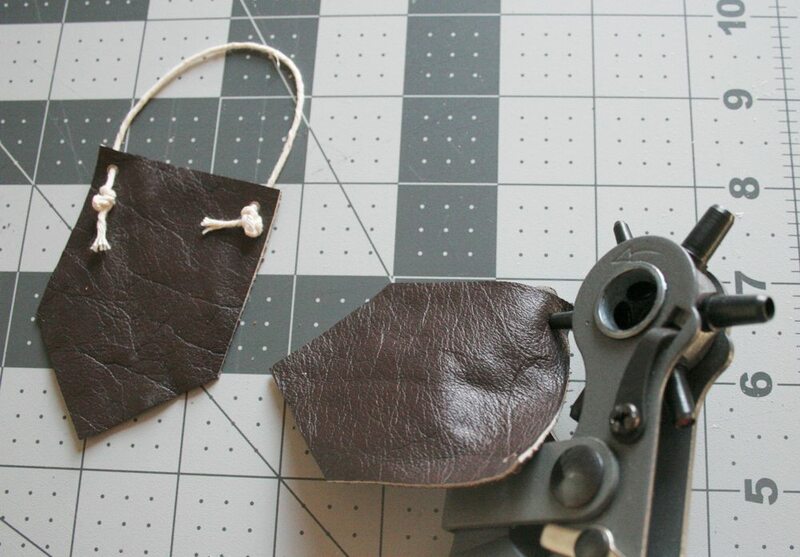 Now that there is tag shape, use a leather hole punch to cut a hole for the cotton twine. Finally, label the leather gift tags with a paint marker. 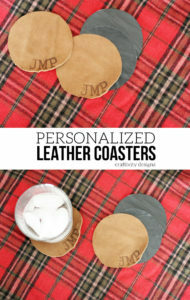 Want to make your own DIY Leather Gift Tags? Pin it! Cut the tag shape out, as described in the Leather Gift Tag Instructions, above. Instead of leather punching one hole at the point, punch two holes in each corner of the straight end. Thread the cotton twine through the holes and tie knots. 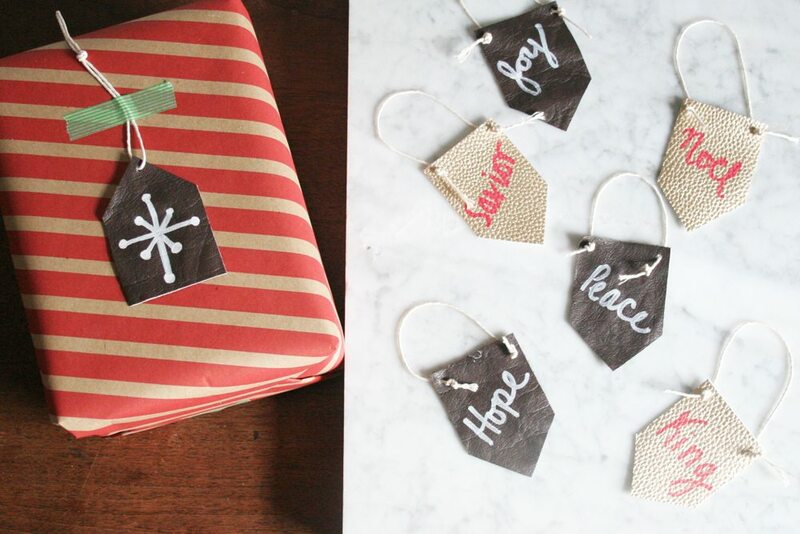 Use a paint marker to decorate the ornaments. 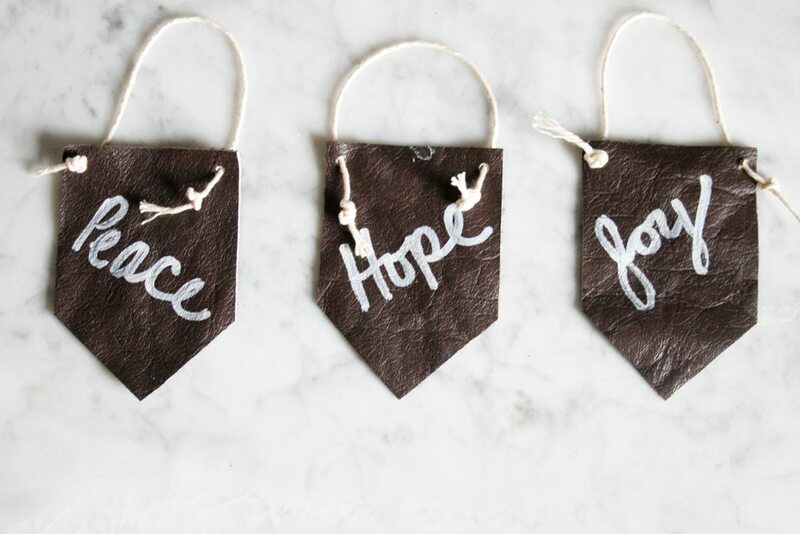 I added Christmas-related words to each mini leather pennant. Decorate a small tabletop tree with the leather ornaments, or give sets of 3 as a cute handmade stocking stuffer! Want to make your own DIY Leather Ornaments? Pin it! « 17 Modern Advent Wreath Ideas that are Beautiful and Meaningful! Super smart use of scrap leather! I love both ideas….and I love leather! !